WASHINGTON -- President Barack Obama told the graduates of one of the nation’s leading historically black universities that America is "a better place today" than it was when he graduated from college, but more work needs to be done and urged them to be involved in the political process if they want to see change. "When you don't vote, you give away your power," Obama said told the more than 2,300 graduates of Howard University. "Change is the effort of committed citizens ... Change requires more than speaking out; it requires listening to those with whom you disagree, and being prepared to compromise." 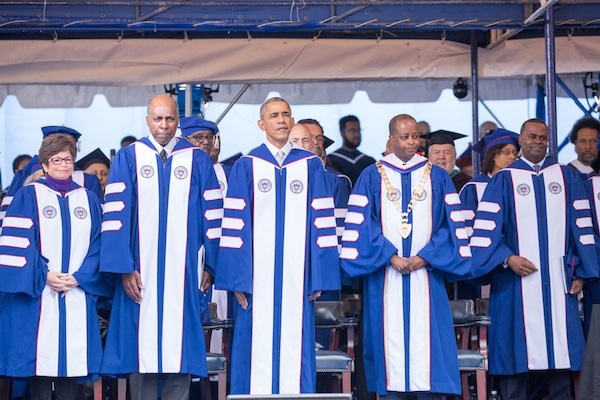 Also attending the Howard commencement event were the president's longtime adviser Valerie Jarrett, civil rights activist and business leader Vernon Jordan, Howard University President Wayne A. I. Frederick and Atlanta Mayor Kasim Reed. Obama received with an honorary doctorate of law degree from the university. It was presented by civil rights icon Vernon Jordan. 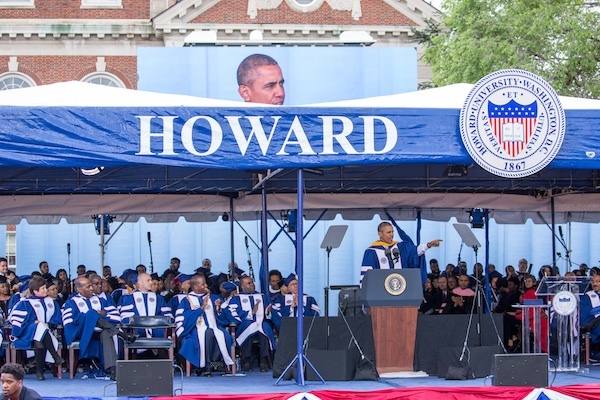 PHOTO: President Obama speaks to Howard graduates. Under overcast sky and the constant threat of rain, Obama told the graduates and their families that there were no black CEOs of Fortune 500 companies and few black judges when he received a bachelor's degree from Columbia University in 1983. "A lot of folks didn't even think blacks had the tools to be a quarterback," he said. "When I was a graduate, the main black hero on TV was Mr. T."
Today, he said, "we're producers, studio executives. 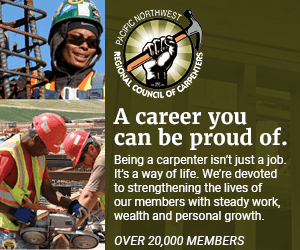 We're no longer small-business owners, we're CEOs. We're mayors, representatives. "Racism persists, inequality persists,” he said. The president cited income inequality, as well as disparities in unemployment, pay and criminal justice. Disease and conflict worldwide, along with new challenges from terrorism and climate change are also problems that need to be addressed, he said. "So, make no mistake Class of 2016, you've got plenty of work to do," he said. “So, enjoy the party, because you're going to be busy." 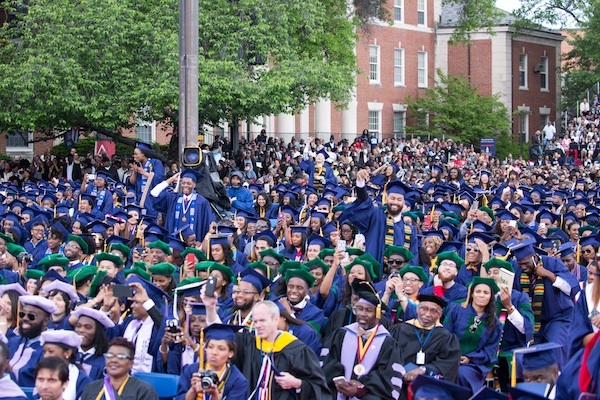 All photos by Cheriss May, Howard University News Service.